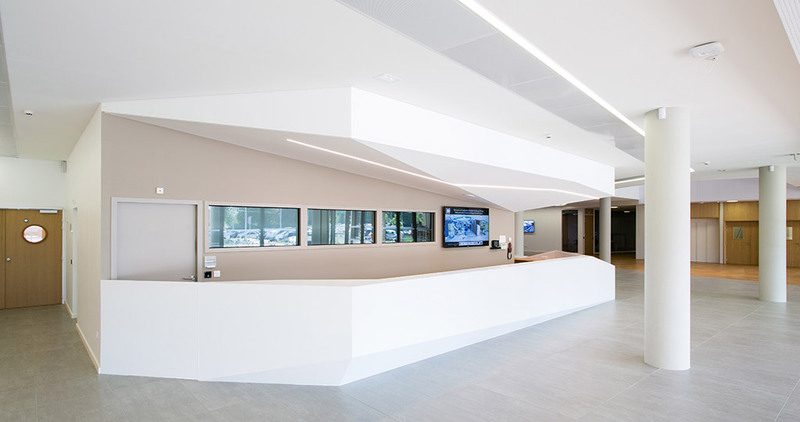 PORCELANOSA Grupo and the KRION® Solid Surface compact mineral arrive at the innovative Institute of Image-guided Surgery (IHU) in Strasbourg as a symbol of modernity and sustainability. The Institute, designed to be energy-efficient and with ecological materials, incorporates the latest medical imaging technologies, seeking to become a benchmark in research and medical equipment. 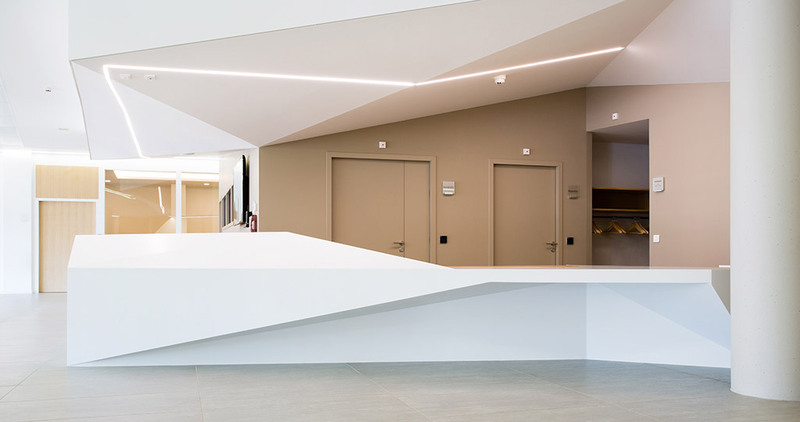 Located at the new University Hospital in this French city, the IHU has 13,000 square metres of floor space and its aesthetics seeks to reflect the modernity of its work for the health sector. 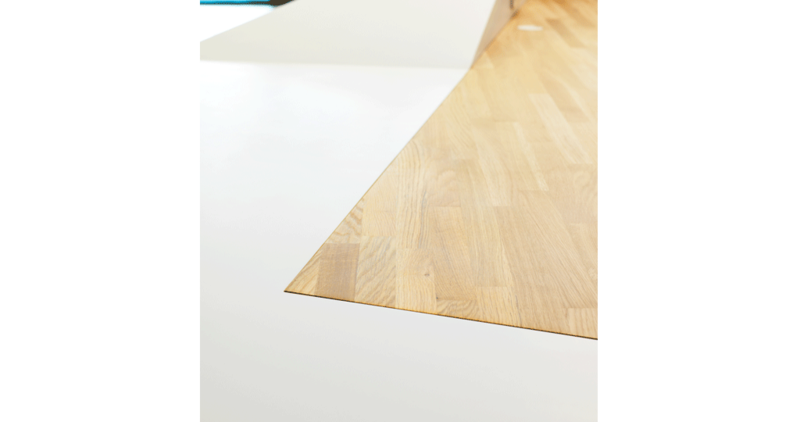 S&AA, the architectural studio in charge of the project, has based its work on straight and angular lines. 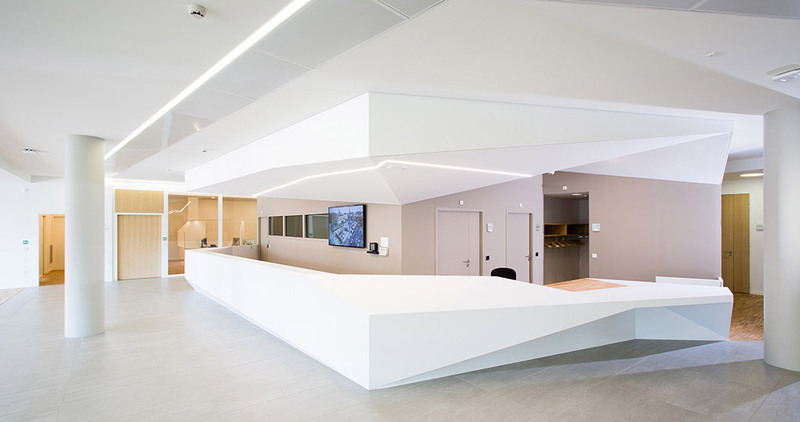 It has managed to extend this feeling to the indoors culminating in the reception centre, thanks to the cutting-edge KRION® Solid Surface by Systempool, the firm from the PORCELANOSA Grupo. 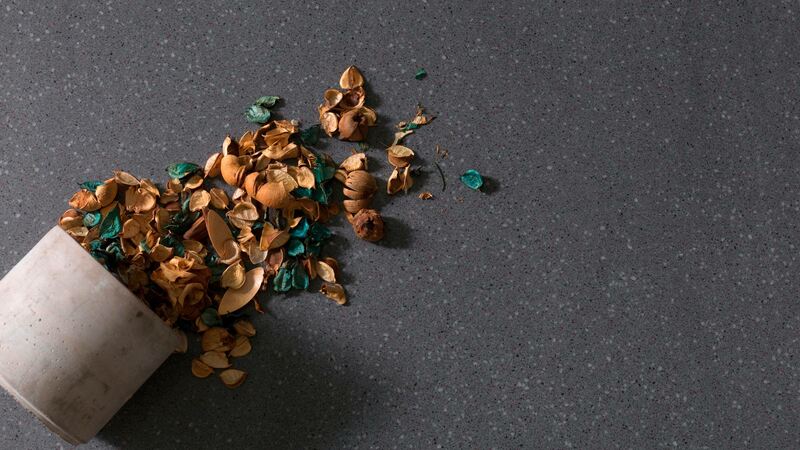 This high-quality material which imitates natural stone has been selected because of its composition, made up of two thirds of natural minerals and with no additives. This fits perfectly with the ecological building principles. 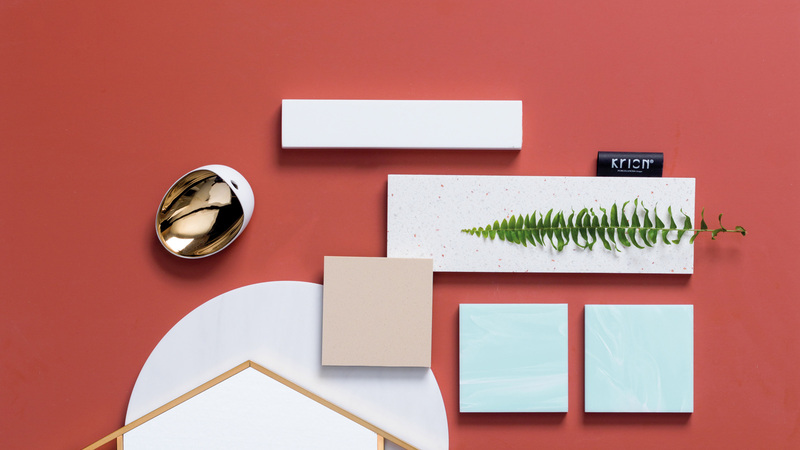 Also, the compact mineral is ideal for a building of these characteristics because of its toughness, resistance and ease of repair; as well as its easy cleaning and maintenance. 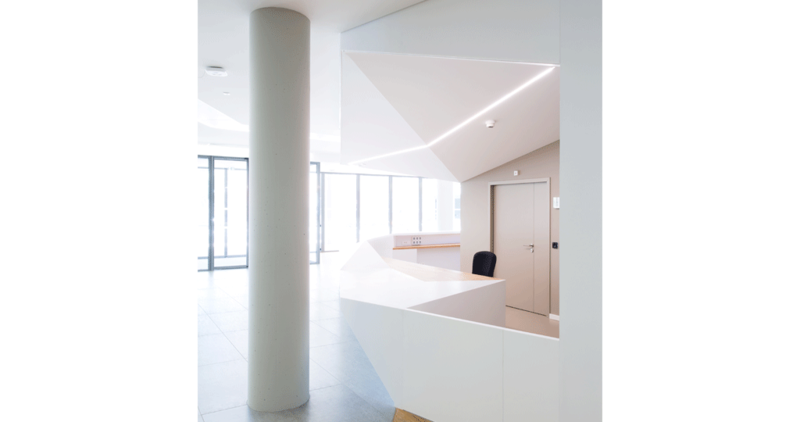 The 17-metre long IHU reception desk combines the 1100 Snow White from KRION® Solid Surface finish with wood, achieving total harmony between both materials and getting a visual set of very aesthetic and smooth continuous lines. The piece, which has been assembled by the manufacturing company, CM Distribución, was originally divided into 4 parts to make transporting it easier, but after its installation it looks like a single unit carved into the building’s own surroundings. 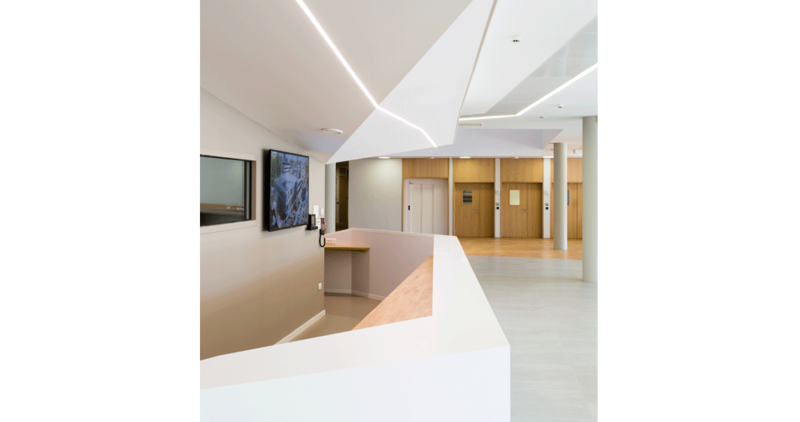 To maintain the visual coherence with the rest of the building, the counter is also designed from pure, straight and angular lines, which let us catch a glimpse of the subtle relieves and the effects of the shade. 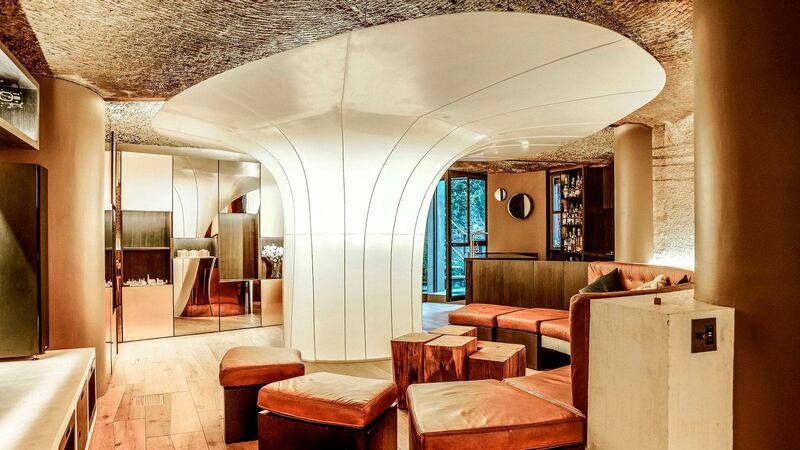 A building whose activity and construction is based on innovation and high performance. 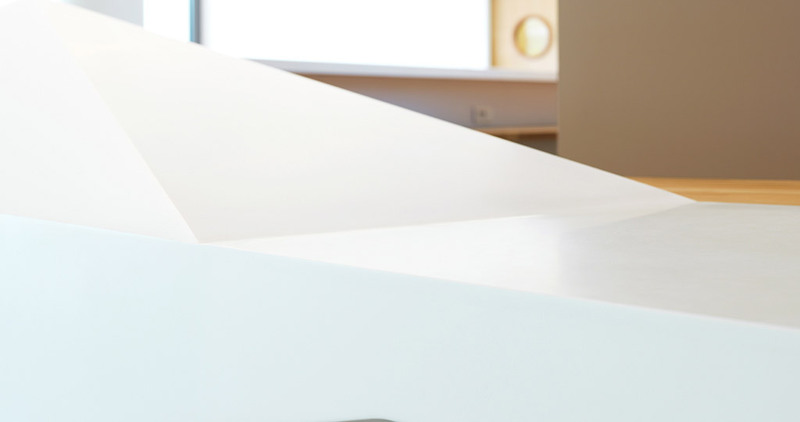 These features are reflected in the use of high-quality materials such as KRION® Solid Surface.